CEI Supports EPA’s Proposed Revision of Power Plant Rule | Watts Up With That? Yesterday I submitted comments on behalf of the Competitive Enterprise Institute supporting the Environmental Protection Agency’s proposal to dramatically scale back the agency’s 2015 rule establishing “carbon pollution” standards for new coal power plants. This post provides some quick background on EPA’s proposal and then summarizes the key points of my comment letter. Under the Obama administration, the EPA determined that partial carbon capture and storage (CCS) is the best system of emission reduction for CO2 emitted by new coal power plants. Based on that determination, EPA required new units to meet an emission performance standard of 1,400 lbs. CO2/MWh. In other words, new coal power plants would have to be built with CCS technology, capture about 22 percent of their CO2 emissions, and ensure those emissions are transported and injected into deep saline formations, oil and gas reservoirs, un-mineable coal seams, or active, enhanced oil recovery (EOR) operations. In the present rulemaking, the EPA proposes to revise its best system of emission reduction (BSER) determination and the associated performance standards. EPA finds that partial CCS is too costly and geographically limited to be the adequately demonstrated BSER. Instead, the EPA proposes to determine that the best system is “the most efficient demonstrated steam cycle (e.g., supercritical steam conditions for large units and subcritical steam conditions for small units) in combination with the best operating practices.” Based on that determination, the EPA proposes to set performance standards of 1,900 lbs. CO2/MWh for new large coal power plants, 2,000 lbs. CO2/MWh for new small units, and 2,200 lbs. 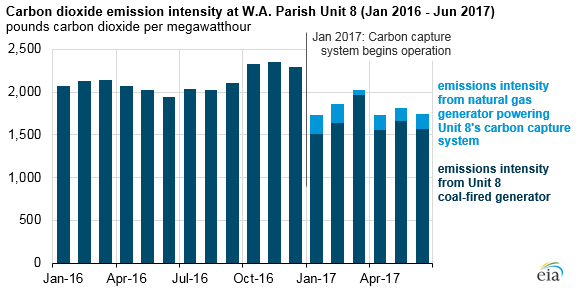 CO2/MWh for new coal refuse-fired units. The Obama-era EPA projected that its CO2 standards for new coal power plants would have no economic costs and no climate benefits, because it expected that “few if any” new coal power plants would be built in an era of cheap gas. So, what was the point? The EPA wanted to set CO2 standards for existing (already built) coal power plants. That was the function of the EPA’s so-called Clean Power Plan, the Obama administration’s marquee domestic climate policy. However, under Section 111, the EPA may not promulgate existing source standards unless it first, or concurrently, promulgates new source standards. So, no new source rule, no Clean Power Plan. In addition, the new source rule’s de facto CCS mandate seems designed to ensure that “few if any” new coal power plants will ever be built. As the EPA’s proposed rule argues, carbon capture systems increase power plant operating costs. In deregulated markets, where units with the lowest operating costs are the first to be “dispatched,” CCS power plants would often go to the back of the queue, rendering them uncompetitive or even unable to recover their capital costs. The EPA is correct: Partial carbon capture and storage is too costly and geographically limited to provide uniform (industry-wide) performance standards for new coal power plants. The EPA’s October 2015 final rule is a de facto ban on investment in new coal generation—a policy Congress never authorized and would reject if put to a vote. The EPA’s proposed revisions will both repair a breech in the separation of powers and help keep electricity prices affordable for consumers. Although the EPA’s 2014 and 2012 proposed rules are not the focus of the current rulemaking, those actions are relevant to the larger policy discussion. The 2015 standard evolved from more aggressive proposals that are inexplicable apart from an unlawful ambition to kill the future of coal-based power. The EPA’s review of D.C. Circuit Court of Appeals case law should include additional discussion of National Lime Association v. EPA. Lime’s ruling that new source standards must be “achievable” in all parts of the country strengthens EPA’s argument that CCS is not an appropriate BSER because its water-intensity makes it prohibitively expensive in arid regions. Another geographic constraint, although not discussed by the EPA, may be even more critical. Only two utility-scale commercial CCS power plants exist in the entire world. Selling CO2 to nearby enhanced oil recovery (EOR) projects is central to their business plans. Only twelve states have EOR projects. The EPA should review whether CCS in commercial practice—that is, in partnership with EOR—is a bona fide system of emission reduction. National Energy Technology Laboratory (NETL) estimates indicate that the combination of CCS and EOR emits 1.4-2.6 times more CO2 than a conventional coal power plant. One of the most effective things you could tack on te back of a coal or gas power plant to raise its efficiency and lower its carbon emissions, would be greenhouses heated with waste water and with artificially raised CO2 levels for plants to grow in. Rent such a space to a commercial market gardener (UK speak for vegetable grower) and you would probably get it to pay for itself. Effluent from a coal plant on a very small lake in North Carolina (temperate US) enables tilapia (a delicious tropical fish) to thrive there. See, that’s the kind of thing Trump could propose in a Great New Deal (GND). Integrated solutions like a carbon capture coal plant that provides heat for both the air and water of an aquaponics facility (fish water feeds/irrigates plants which clean the water), as well as a nearby housing complex with built-in EV-friendly infrastructure and a lake for recreation and dumping heat in summer, and provides CO2 for the plants. Greens would go absolutely nuts if he did stuff like that. Let’s get people working together instead of always fighting each other in a politically-polarized environment. Or dump heat in summer into ponds that grow duck weed to be used as tilapia feed. Trump needs to move ahead and get rid of the ridiculous “endangerment finding” that allows EPA over-reach. After that there would be no need to argue the pros and cons CCS and the rest. That would be great, but it won’t win over voters who are inclined towards “sustainable” solutions. Suggestions like mine most definitely would. Exactly. Removing the Endangerment Finding is critical. Critical to what? No new large coal-fired power plants are going to be built with or without the Endangerment Finding. The real issue with building a new coal power plant is political risk, that some green like most of the Democratic candidates will get elected, and revert to Obama’s policies. Otherwise, it is more a calculation about future natural gas prices relative to coal prices, and given the creation of a substantial export market for gas, gas prices are likely to increase to what the world market will bear. https://www.eia.gov/analysis/studies/powerplants/capitalcost/pdf/capcost_assumption.pdf –> See pages 7 and 8. Plus, natural gas plants have much more siting and sizing flexibility than coal-fired power plants. Finally, natural gas plants can follow load better. But even if your statement was true, and “the real issue with building a new coal power plant is political risk”…I don’t see how overturning the Endangerment Finding–under a president who is laughably ignorant about virtually every scientific matter–eliminates any political risk. The Endangerment Finding would likely simply get reinstated in the next Democratic administration…and possibly even a Republican administration. Only a very foolish utility would sink the capital cost of major new coal-fired plant and face reinstatement of the Endangerment Finding and reinstatement of significant CO2 limits when the plant is up and operating. It’s a recipe for stranding major assets. So, if one buys into the CO2 apocalypse theme, coal is a bad idea? Without hysteriac objections to CO2, it is a matter of which fuel is cheaper over the lifetime of the plant. If natural gas gets sufficiently expensive, coal is much more viable a choice. Your comment does demonstrate the major factor is political, with appeals to people with your opinions. The people who finance the cconstruction of power plants and those who intend to operate them… Political risk has to be weighed over decades. By encouraging CCUS for EOR, Perry is providing a pathway to keep large existing coal-fired plants operating, even if a subsequent maladministration reverts back to regulatory malfeasance. One of the reasons US and international oil companies jumped at the opportunity to bid on offshre Mexico leases is the fact that they amended their constitution opening up access to foreign companies. Had this just been an intiative of Enrique Peña Nieto, no one would have touched it… Because AMLO would have just reversed it with a “pen and a phone.” The political risk of operating in Mexico is actually less than the US. Depends on the price of natural gas. That can change, and will. That affects the O&M (operating and maintenance) cost, not the capital cost. Natural gas combined cycle power plants are, by far, the least expensive to build. With natural gas prices as low as they are, they are also a little cheaper to operate than most coal-fired plants. Higher gas prices could certainly make coal more competitive. Yes, David, I realized that after posting — capital vs operating costs. I address that somewhat in a reply down below (somewhere). No, it’s a matter of which *plant* is better over the lifetime, not which fuel. And it’s *better*, not cheaper. Coal externalizes tremendous costs…in the mining, in the burning for energy, and in the disposal of wastes. So it can *appear* “cheaper,” but it’s clearly not better. I don’t see where I “appealed to people.” And I doubt you know enough about me to know my opinions–political and otherwise–in any detailed way. National Energy Technology Laboratory (NETL) estimates indicate that the combination of CCS and EOR emits 1.4-2.6 times more CO2 than a conventional coal power plant. It’s good to hear so at least global vegetation has something to eat if CCS et al are widely taken up, but the core of all this fake CO2 panic is wealth and political power for the few, the rest are still tax slaves but worse than now. None of it had anything to do with climate and there’s still no empirical evidence that CO2 does anything catastrophic except feed the biosphere including those that wish to impose their rules at whatever cost. Once all this Communist, evil sack of lies blows away, I bet there’ll be a shortage of tar and feathers. I work at a poultry processing plant. You supply the tar, I can get you all the feathers you need. You ARE A poultry processing plant. That’s unlikely to be correct. There’s only one coal-fired power plant employing CCS for EOR. The math of the W.A. Parish power plant and West Ranch Oil Field indicate that the cumulative net emissions will be slightly negative. Full cycle, the W.A. 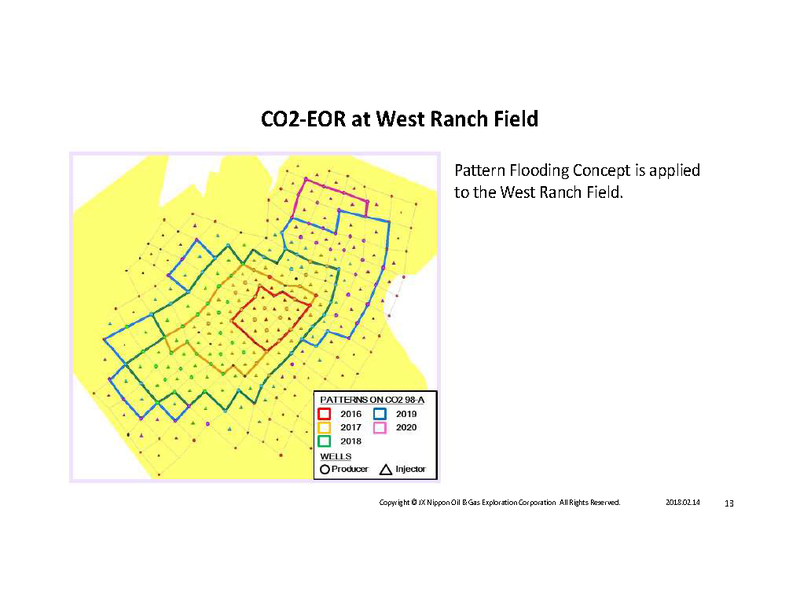 Parrish/West Ranch Oil Field EOR project will yield 1.24 MT CO2/d, that the W.A. Parrish plant emitted prior to the start up CCUS/EOR. However, the 15,000 bbl/d of anticipated oil production doesn’t alter the demand for crude oil. It will add to domestic crude oil production and less imports… The oil will be consumed either way. So, the CO2 emissions from consuming the crude oil wouldn’t be avoided without this CCUS/EOR project. David, there is a cost to preventing the CO2 from exiting the plant, transporting it to a site that can benefit from it, and then actually using it in the CCS for EOR process. In some places it will be economic and useful, and actually store more than the overhead of the process creates directly and indirectly. In others it won’t be. When the EPA mandates it’s usage for all plants in all locations, it distorts the market, and creates a disincentive to continue operations for existing coal fired plants in areas that cannot use these processes economically, but are well suited to provide energy production if those mandates did not exist. The core problem is the mandates are not created to use CCS for EOR for the benefit of the public. The mandates are designed to kill an industry that would be economically viable without the EPA declaring CO2 “pollution”. The endangerment finding lacks a quantification of the actual “danger”, and a specification of a party with standing to show how they are negatively impacted by the release of CO2 into the atmosphere. It is a bad regulation, created by activists, and needs to be exposed as such. If not it will create an incentive to create regulations to restrict the freedom of the public, based on “imaginary danger”. There’s no doubt that the Obama regulatory malfeasance was designed to kill coal. There’s also no doubt that CO2 EOR could recover about 85 billion bbl of oil from US oilfields, oil that would otherwise not be recoverable. The single greatest barrier to CO2 EOR is a lack of economically deliverable CO2. WASHINGTON, D.C. – Yesterday, the U.S. Department of Energy (DOE) announced up to $30 million in federal funding for cost-shared research and development (R&D) for front-end engineering design (FEED) studies for carbon dioxide (CO2) capture systems. The projects, funded by the Office of Fossil Energy’s Carbon Capture program will support FEED studies for CO2 systems on both coal and natural gas power plants. I agree that the endangerment finding is massively flawed… But, it will be very difficult, if not impossible, to revoke. The fact that it doesn’t quantify the endangerment, leaves it up to the EPA to determine the degree to which greenhouse gases should be regulated. Fortunately, for the next 2, hopefully 6-14 years, GHG’s will be so mildly regulated, that it won’t hurt business. And, if more projects like Petra Nova can be spun up. it will be very good for business. I was referring to the US. I was unaware of the Canadian project. Net CO2 emissions are slightly lower. Now, if you factor in the anticipated emissions from the additional crude oil production, the net emissions become slightly positive. If they actually increase the production to 15,000 bbl/d, the full cycle net emissions will be a little higher. However, the emissions from those 15,000 bbl/d wouldn’t be avoided without Petra Nova, because it doesn’t increase the demand for crude oil. The 15,000 bbl/d would come from somewhere else. The initiation of CO2 injection very quickly boosted oil production in the WEST RANCH (41-A & 98-A CONS.) unit from about 100 BOPD to 3-4,000 BOPD. The drilling program was planned over a 5 year period. I would imagine that the drop in oil prices in 2018, probably put them behind schedule, because even though the Railroad Commission roughly doubled the unit’s allowable production, the rate hasn’t increased since late 2017. “In other words, new coal power plants would have to be built with CCS technology, capture about 22 percent of their CO2….” What a stupid idea. Here another stupid idea. New coal plants operators could build or buy a CO2 bottling plant and sell it to soft drink industries. 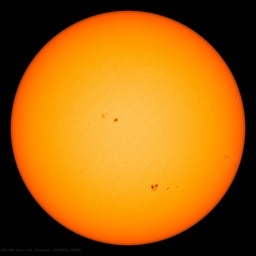 What do think about CO2 alarmist? I don’t know how much CO2 is needed for soft drinks, but I’d guess that one coal plant would provide WAY more than is needed. I doubt the amount of CO2 in soft drinks makes a dent. A quick check of the rule is that it does indeed refer to “carbon pollution”. They have to fix that. “Carbon pollution” is just a propagandistic way to vilify CO2. CO2 is no more pollution than is H2O. If there is a flood and people die should we refer to the cause as “hydrogen pollution”? Yep. Oxygen is the common denominator. Get rid of Oxygen. Di-hydrogen monoxide pollution sounds more evil. I shall keep my oxygen dihydride, thank you. That’s not quite correct. Hydride is a hydrogen anion, whereas H2O is a covalent compound. Dihydrogen monoxide is correct. All power generating facilities should be required to enter into a contract to supply 24/7/365 power at a designated design rate. Intermittent facilities would then be required to cover the costs, in house or by subcontracting, of energy supply when unable to meet the contracted level. The market would then reflect the actual cost of energy provision. OK it is a bit more complicated than that; but it is a good starter. Exactly and wind and solar’s State protected dumping game would be all over in a flash as they had to install storage to lift their average tender or pay thermal their just insurance premia or some combination of the two. You can’t reasonably guarantee your electrons’ amount voltage and frequency 24/7/365 short of unforeseen mechanical breakdown then you keep them and do what you like with them. Shine them where the sun don’t shine sunshine. This is too lax. We have developed the ZECCOM™¹ (Zero Emissions Coal Combustion) Process so that coal could be burned with no emissions. It requires lock hoppering the coal uo to pressure and burning the fuel with liquid oxygen. After the inexpensive pressurized coal combustor the flue gas goes through a flue Gas cooler to generate additional steam and/or heated boiler feed water. This is my personal e-mail addresss, I control that: r-l-hood@shaw.ca. if that changes I will let the new e-mail address be known. This is my work E-mail address RHood@BESTCarbomaoytire.ca. ‘Process so that coal could be burned with no emissions.’ interesting, then again we could covert the coal to diamonds then sell them. Nothing in the proposed rule eliminates use of your technology. If it is deemed to be cost effective, a low technology risk, and lowers emissions then generation producers will look at your product. However, by your description, this sounds like a variation of a traditional coal gasification option. Unfortunately, coal gasifiaction isn’t really mature enough to sever the electrical generation sector of the economy. The plain fact is generating companies have not figured out how to economically build gasifiers to be cost effective in their sector of the economy. Nor have they developed a winning configuration… one optimized to their needs. This is not to say they haven’t tried (ask Southern or Duke). Nor does it mean that they haven’t invested in exploring options with large scale pilot plants (TVA’s ammonia from coal unit or Southern’s extensive pilot plant program). As a capacity planner, I nixed use of coal gasification on the commercial scale in our generating fleet in 2000-2030 period even though I was part of the team that operated the TVA gasifier in the ’80’s and had proposed mega-scale Shell-technology based electricity/fertilizer co-production facilities in the 90’s (multiple 3,000 tpd gasification units). The problem being that for coal gasification to be economically viable the price of natural gas has to be roughly 3 times the price of coal on a MBtu basis. With the shale-base natural gas revolution that’s simply not likely to occur well into the foreseeable future. I see Richard still doesn’t have enough investors in his scam. All fossil fired generation/sources produce CO2. The CPP set performance standards for all types of electrical generation. Writing regulations specifically for coal and not all of the other sources is unequal protection/application under the law. Except that CO2 is not pollution, by any stretch of the imagination. No such regulations are needed, except in the fevered brains of Warmunists. The CPP should be abolished, as it is an Obamanation. The Section 111 rules require both fuel sources (gas and coal) to use state of the art generating technologies and good operating practices. The associated CO2 limits are set by the best available technology standard selected by the EPA. rule sets coal gasification with carbon capture as the best available generating technology to achieve this goal. Unstated in the article above is that the new proposed rule resets the best available technology from coal gasification with carbon capture too super critical steam without carbon capture. It is interesting to note that the article above does not mention the elimination of the coal gasification requirement and its substitution with super critical cycle technology… since the simply overcoming the capital cost and technology hurdles of gasification alone would have been enough kill coal as a viable option. Well… this is good news. The “dirty” little secret is that new coal plants are, occasionally, cheaper to build and operate than gas plants. So, this places new coal and gas on a level economic playing field and gives generating operators more flexibility in providing low cost power to their customers. Yes I know gas plants are cheaper to build but operating cost matter… so no snarky comments please… I made a living developing generation/capacity plans for a major electrical producer. Gas isn’t always king. There definitely are places that lack sufficient pipeline infrastructure, making gas noncompetitive. Coal-fired plants can also store fuel onsite, up to 3 months worth or more at some of the larger ones. Correct, and eventually it will become more expensive as supplies begin to decrease and demand continues to rise (and perhaps the supply network won’t be able to keep up w/demand in very cold/hot weather). Coal plants wouldn’t be so expensive if we could get rid of the “pollution controls”. Build very tall stacks to disperse the exhaust like they used to. Yeah, I know, won’t happen because the scare-mongering has worked into the culture for so many decades and many are more scared of coal than of nuclear fission. People are even scared of the cinders that were used on railroad track beds?!? Talk about a psychotic culture that’s been deliberately promulgated. Why have so many coal plants been taken offline, instead of undergoing life extension maintenance? Did the EPA have a way to mandate that extensive maintenance of this nature would constitute a “new source” and therefore be subject to CCS? Keeping existing power plants running is far cheaper than building new ones, regardless of fuel price. 3) Coal Ash waste is recognized as dangerous, and there is an increasing risk of new rules on storage and handling of it – so another risk of additional expenses and even lawsuits. 4) Coal plants need to be near railroads, gas plants only require a pipeline – so you can build gas power plants easier and in more locations. I can’t speak for other utilities, but, the factors listed by Robert of Texas (see above) were not the reason we reduced the size of our existing coal fleet. Nor were life extension maintenance issues in the plants a factor. Typically we were able to economically maintain very old plants (50-60 years old) without much of a problem. The primary reasons we closed coal plants during the Obama era were three fold: 1) The huge drop in demand for electricity during the Great Recession left us with entirely too much capacity in our 2008-2034 planning time-frame; 2) Obama-era economic mismanagement and related increased regulation in all sectors of the economy were making rapid economic recovery unlikely, 3) new Obama era EPA regulations produced in the 2008-2014 decision making time-frame would have required upgrades to pollution equipment in existing coal plants that were not likely to be run at high enough capacity factors to pay for the pollution equipment. We did replace some of the lost coal capacity using two new natural gas plants. This occurred because: 1) The Section 111 rule above would have required use of coal gasfication with carbon capture in new plants… and we deemed this option too costly and too risky; and 2) We used natural gas plant configurations that allowed us to cost effectively use new gas plants as intermediate units… while retaining the ability to use them as base-load units should the economy improve faster than we anticipated. Incidentally, in our case, the Clean Power Plan’s (CPP) green house gas emission limits did not impact our planning process because: 1) None of the States we operate in mandate the use of renewable assets; 2) We have an extensive inventory of extremely inexpensive nuclear assets; 3) We don’t have the grid instability issues that negatively impact nuclear assets… because we don’t have a substantial inventory of renewable assets; and 4) for the all reasons above were in a position to deliver low cost electricity to our customers with green house emissions below the standard set under the CPP without changing our existing plans… and without using high-cost system-wrecking renewable assets the Obama era’s EPA bureaucrats thought we’d have to utilize to meet the CPP standards. (And a big advantage to the States we operated-in… as they would not be as burdened to meet the CPP standards as they otherwise would have been… had the federal court’s not suspended the CPP while it was being litigated ). In my view the real “killer” of low cost and low emission electrical systems are the “Renewable Standards” set by individual States and attempted to be implemented in the CPP… (Since most utilities were less likely to be able to overcome the CPP’s renewable requirements). Get rid of these State/Federal “renewable standards” and most generating systems would naturally gravitate to using low-cost natural gas and nuclear assets… simply because there is an upper limit on SO2, Annual NOx, Ozone Season NOx, and particulate emissions that the environment can sustain and we were/are reaching the that natural limit. The untended consequence would be low green house emission per kWh hour produced… simply based on the need to meet increased demand for electricity in a healthier economy. The real irony, in my opinion, is that green house gas emission reductions could be achieved more quickly and cost effectively by eliminating the very green house gas related regulations being produced to pay-off the renewable shysters… oh sorry… not politically correct… I mean “save the planet”. P.S. Now retired… and can speak to some of these issues since what I have discussed is public information. Why have so many coal plants been taken offline, instead of undergoing life extension maintenance? How much CO2 would a coalplant emit. Coal is said to give 95t/Tj heat from the coal. One Tj heat could make 360GJ electricity (a bit over 30% effectivity). 360Gj is equal to 100kWh, so 1kg CO2/kwh should be the possible to achieve, or 1t/MWh. If it is possible to use the waste heat for distict heating even les is possible. It seems EPA has gained some reality. Some years ago in the UK a glass works dumped hot water into the nearby canal. The section which benefited from this was called “The Hotties”. tropical fish thrived in this section and the local kiddies swam in it in mid winter.